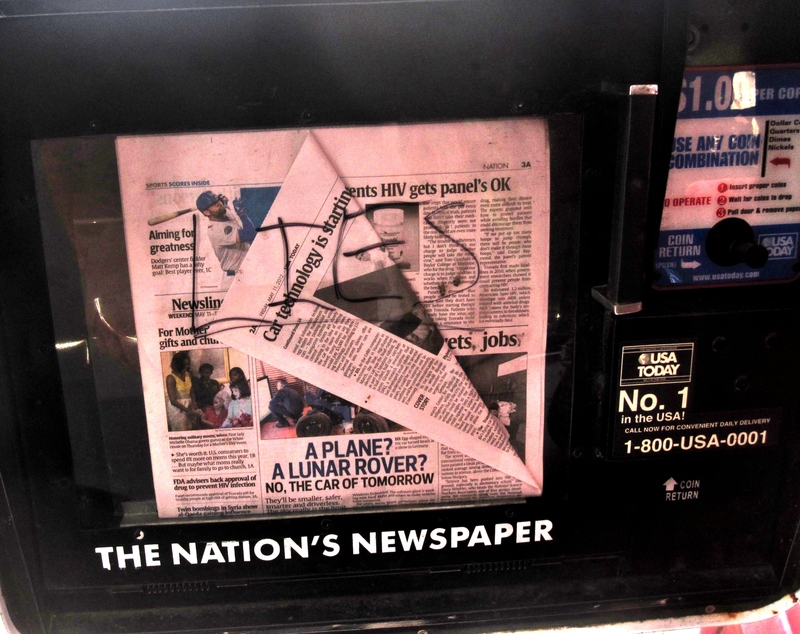 When I was in New Orleans, I passed a newsstand that had been defaced. It was a USA Today dispenser, and the word LIES had been written on the front glass. I was not offended, which is interesting considering my educational and professional background in journalism. I suppose I have an easy time remembering the reasons why I stepped back from hard news reporting, so perhaps my indifference is not that surprising. I typically find breaking news journalism rushed, sensationalized, and lacking compassion for subjects of misfortune – neither of which contribute to the founding practices of the craft. That’s only my opinion, however it is rooted in some research – the result of dedicating two years of study to the manner in which journalists cover tragedy. People may disagree with my views, but I rest peacefully knowing that I’m not the first person to become annoyed by irresponsible reporting: Skagway has dedicated an entire town to the deed, mocking the journalists who covered the Alaskan Gold Rush of the late 19th/early 20th century. 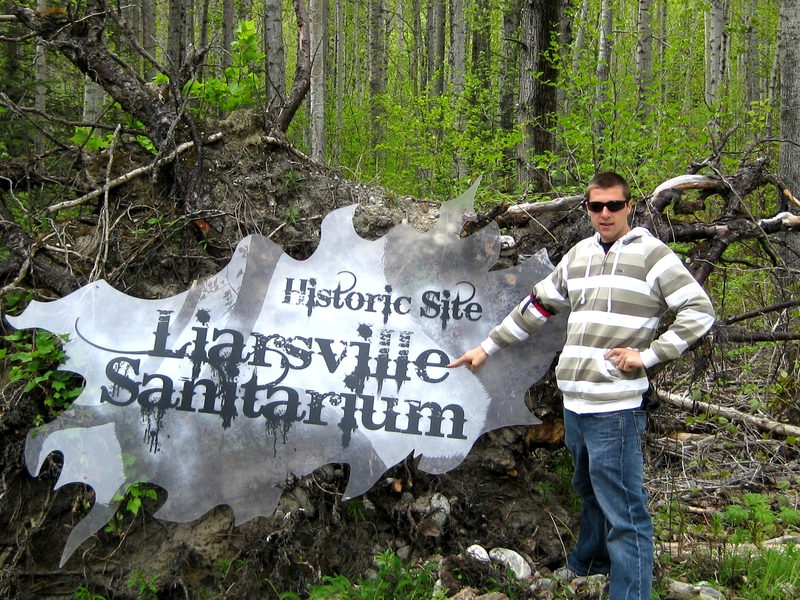 They are pretty blunt about it – they refer to the town as Liarsville. I mentioned that the Skagway railroad was used to transport men to the mines, but that was not until later. The initial Gold Rush required men to hike long distances carrying all their gear, the journey so difficult that journalists would not make it themselves. Instead, they set up a camp just north of Skagway and relied on the stories of the men returning from the mountains. Who the hell knows who they talked to, but they began reporting how easy it was to reach the gold mines, how wealth was a sure thing to find. Remember that this was happening in a time with limited communication – people had no choice but to rely on these reports – and many men left their families to come join in the rush, thinking the decision was a no-brainer. They cashed in their life savings to make the trip to Alaska, arriving only to find going from rags to riches wouldn’t be as easy as the journalists made it out to be. I don’t know about you, but I’d be ticked. There is an excursion to a recreation of Liarsville that you can arrange through your cruise line – ours was combined with the Skagway train ride (White Pass Yukon Railroad). You can also look into booking it directly through the private company. The experience includes a salmon bake, a short theatrical show, and a demonstration on how to pan for gold. Buyer beware: The history was the highlight for me as a writer, however the recreation is unfortunately nothing more than a few tents. What I learned that day added to the mystique of Skagway, but in all honesty it didn’t offer much more. I cut short my gold-panning-in-a-trough time and took a walk through the nearby woods, which sort of tells you the extent of the excitement. If the experience ends up being included in another excursion package, so be it – feast on some salmon. But, having read this post, you’ve already heard everything worth going for. Allow the knowledge to enhance your visit, but spend your time elsewhere.